Let’s celebrate our new playground! 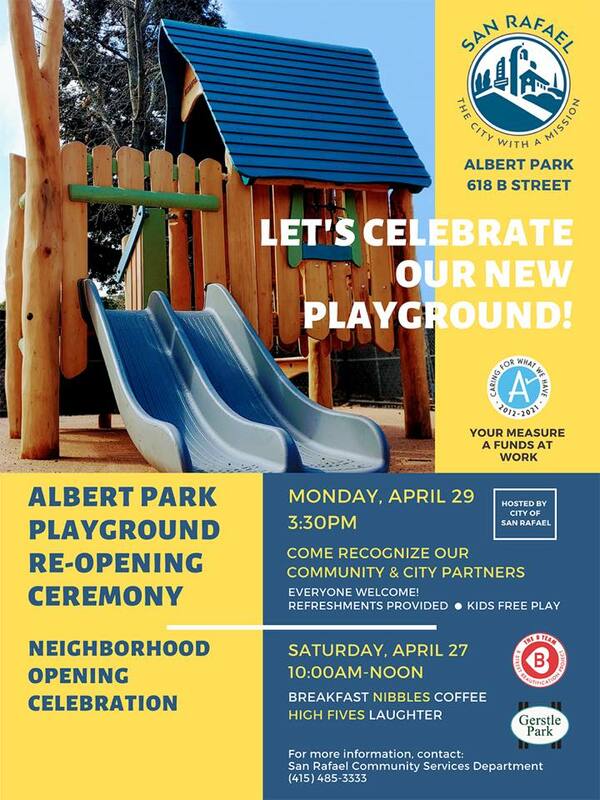 We’re hosting a re-opening ceremony for the new Albert Park playground. Come and recognize our City and community partners (including The B Team and Gerstle Park Neighborhood Association). Everyone is welcome and refreshments will be provided. For more information, contact Community Services at (415) 485-3333.